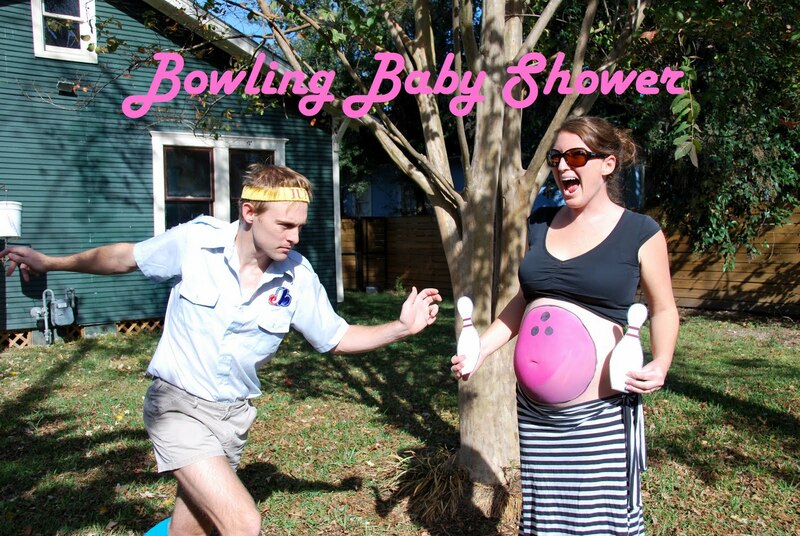 I love this idea of a non-traditional baby shower. While my husband and I aren't pregnant yet, this sounds like something we would do. I felt awkward enough at my own bridal shower, and rather than going through a girls-only party again, a joint baby shower would be ideal, and a way to really just get together with friends and party before the baby arrives, while celebrating it's imminent at the same time. I thought that I would hate my bridal shower, since I don't like being the center of attention and always feel so awkward. I put up a big fight against shower games, when it turns out I wish I hadn't and we had done more. I really do not like that showers are typically female-only parties. Why is it that celebrating the creation and expansion of a family is done apart? I'm all for time women spending time with women, and men having guys time. But why is it that I'm the only one there to open gifts for our child? My husband and I registered together, we're having a baby together, we're both going to be using said gifts, and we're both going to be taking care of our child. My husband will even be home for the summer and will be the main care taker during those months he's off from school. Congrats on breaking from tradition and doing something that works for your family and those around you. 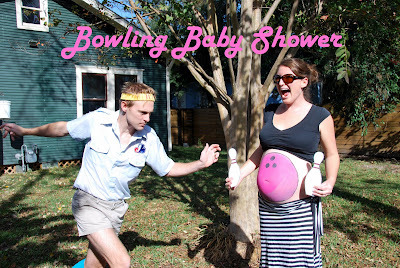 We had a bowling wedding shower over the holidays. His parents thought it wasn't fancy and special enough but it was what we wanted. It was awesome. I love your intentions here. I feel that as long as everyone had a good time the shower is a success, as opposed to something someone is required to throw or attend out of obligation. I love pretty details and design, but the moment that you are made to feel bad about not having it all or not sticking to a tradition, is the moment that none of that stuff matters anymore. Isn't it all about being married and living those vows, and now celebrating a new life? I also love the idea of a couples' shower or a community feel event. (and one of our favorite pastimes is bowling! )In fact, if I ever throw another shower, I'd want to invite the males and make everyone feel involved. Congrats to you to sticking to your own integrity. I, myself, pick and choose which traditions I uphold. Sometimes I make my own. Thanks for your blog. It makes me feel as if I'm not alone in this judgemental world! I haven't read your blog in a while and didn't realise you were pregnant and almost due. oh my! CONGRATULATIONS to you both. Your party sounds so fun, its much more fun to do things together.